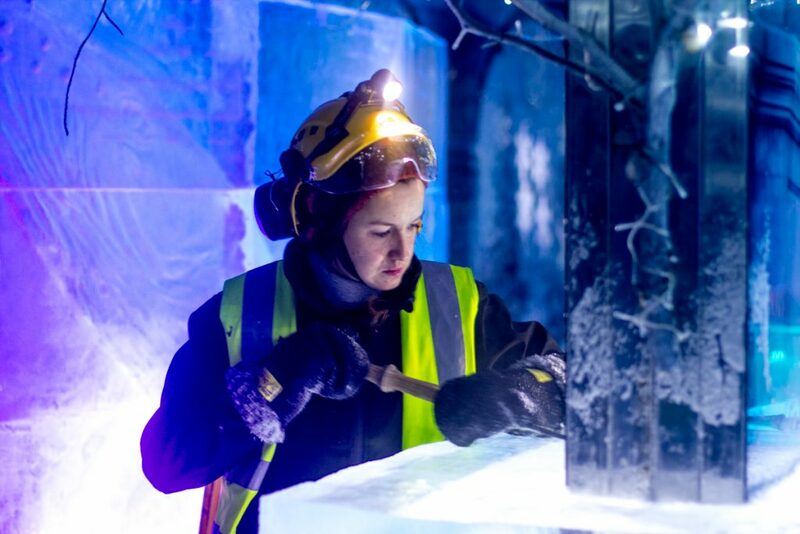 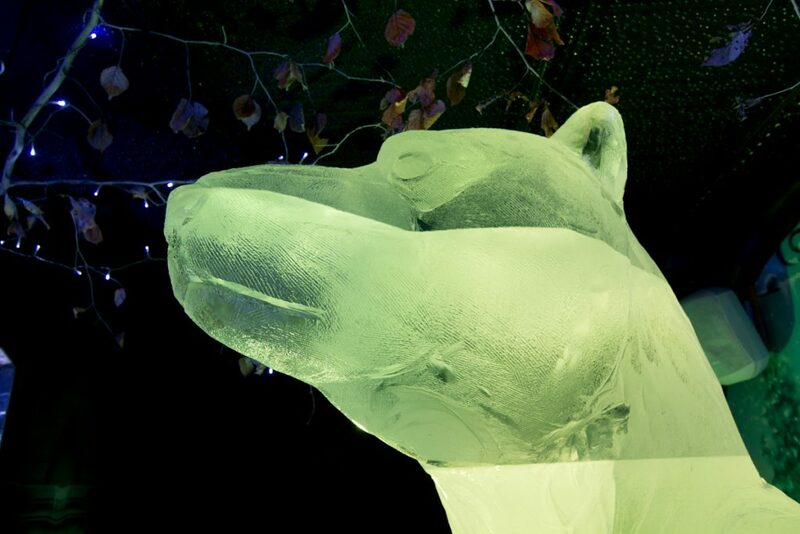 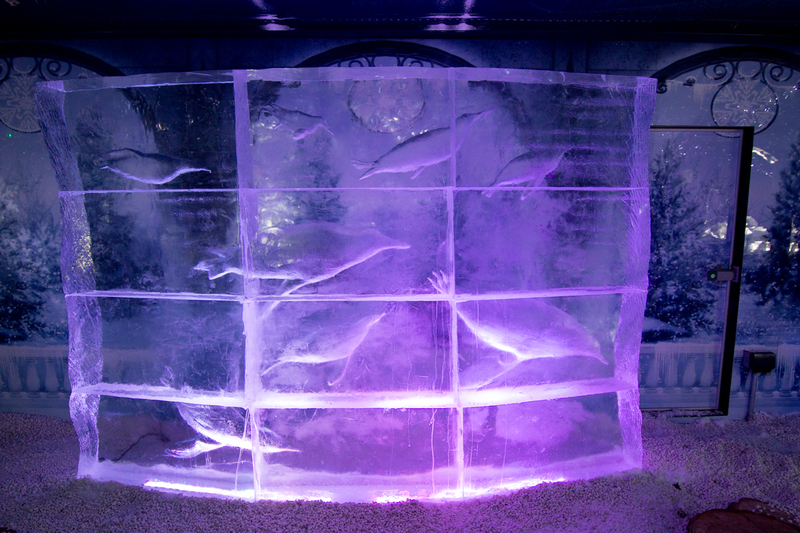 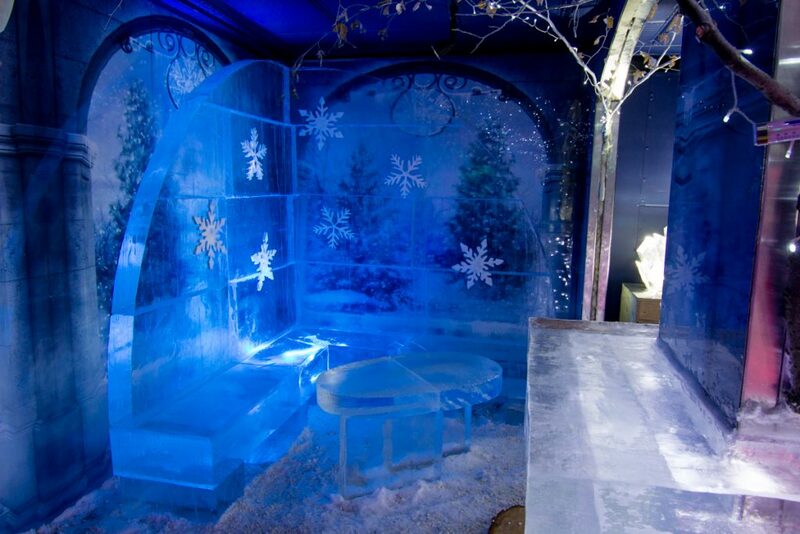 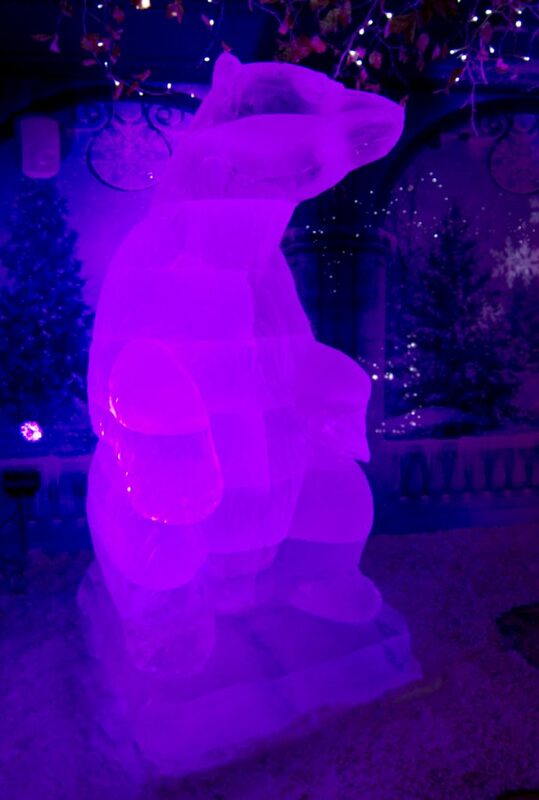 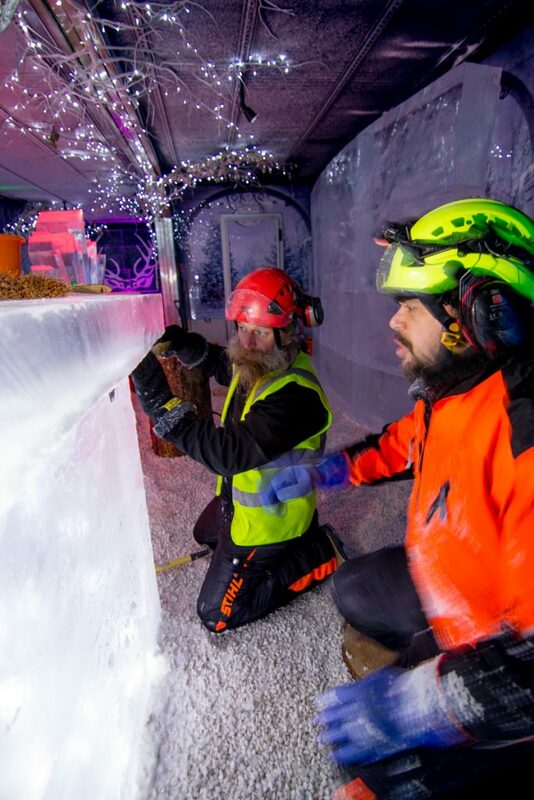 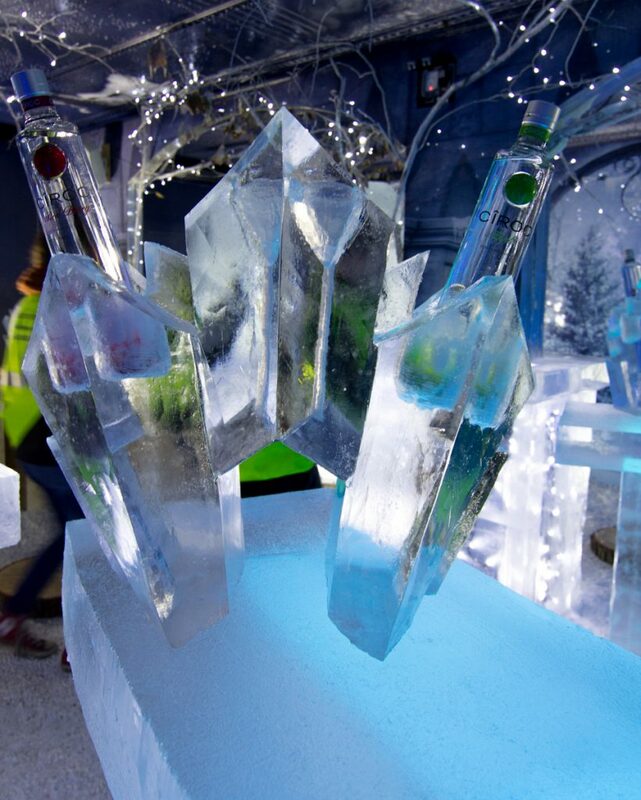 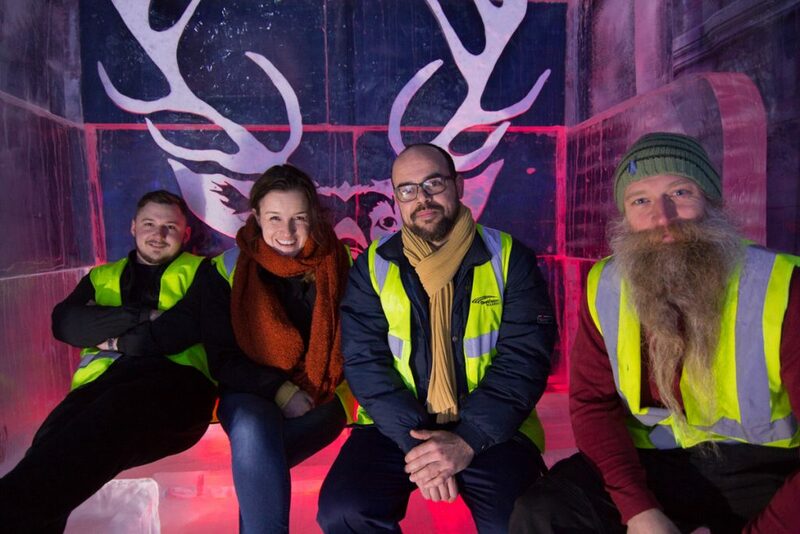 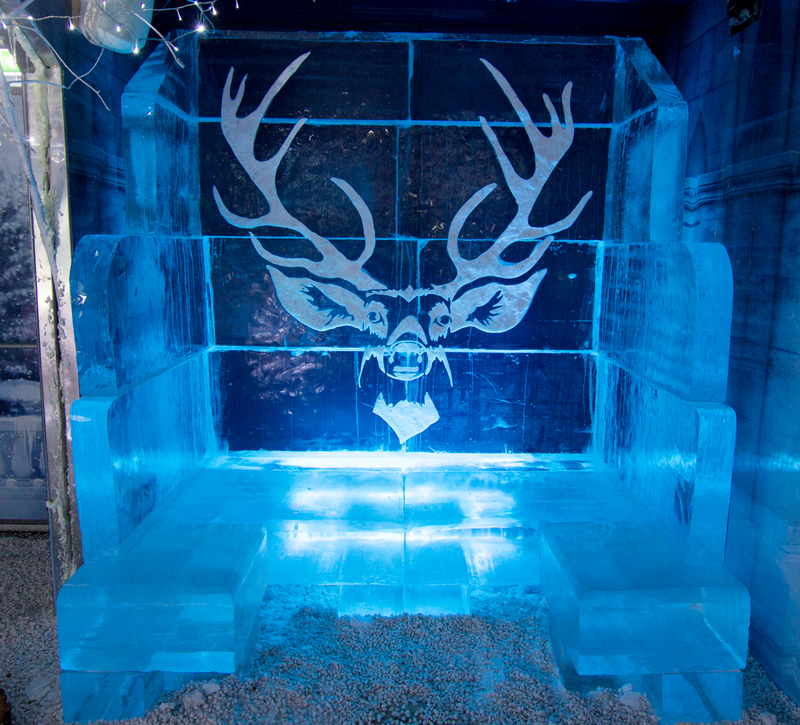 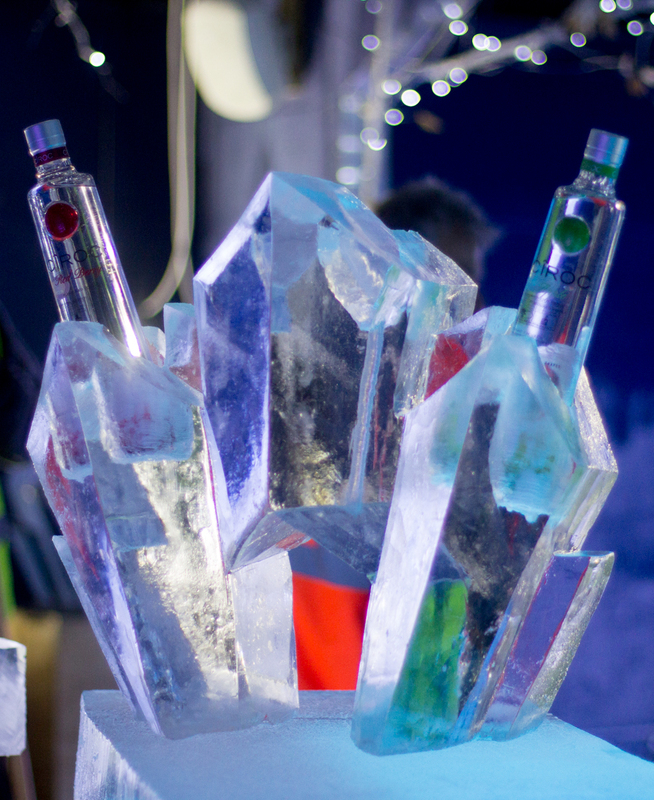 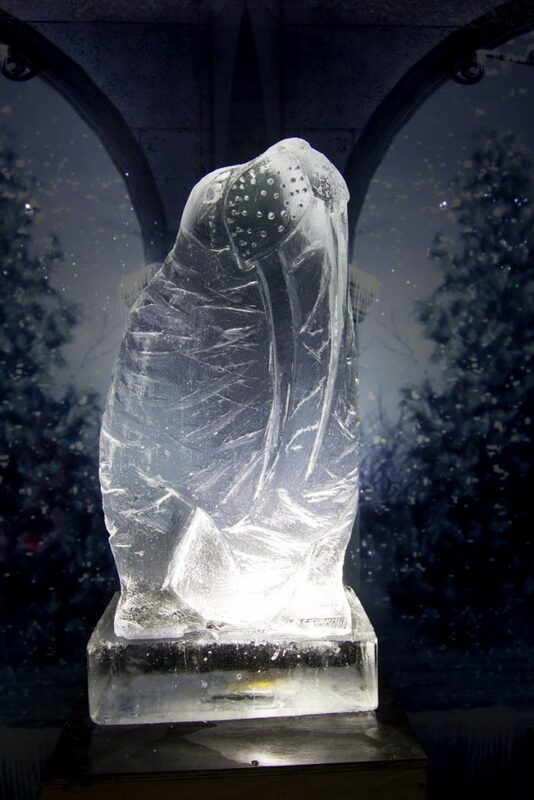 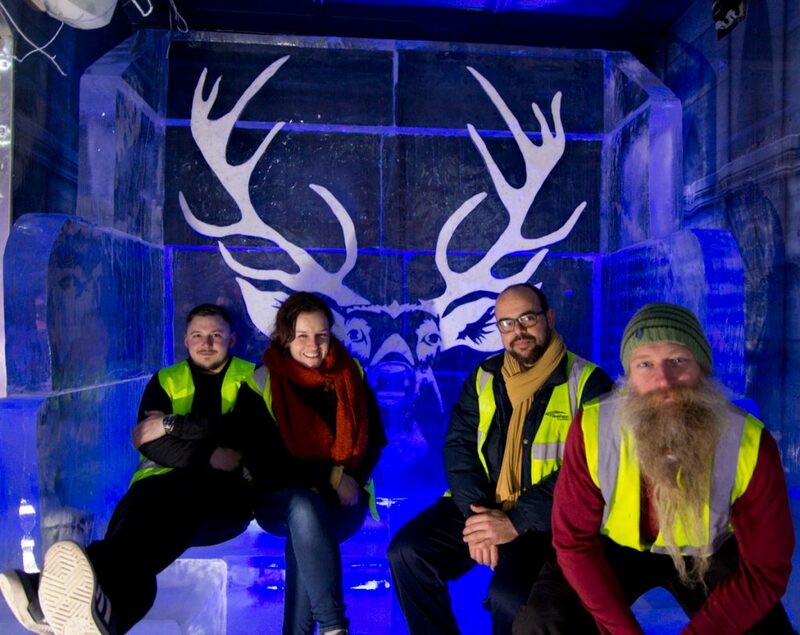 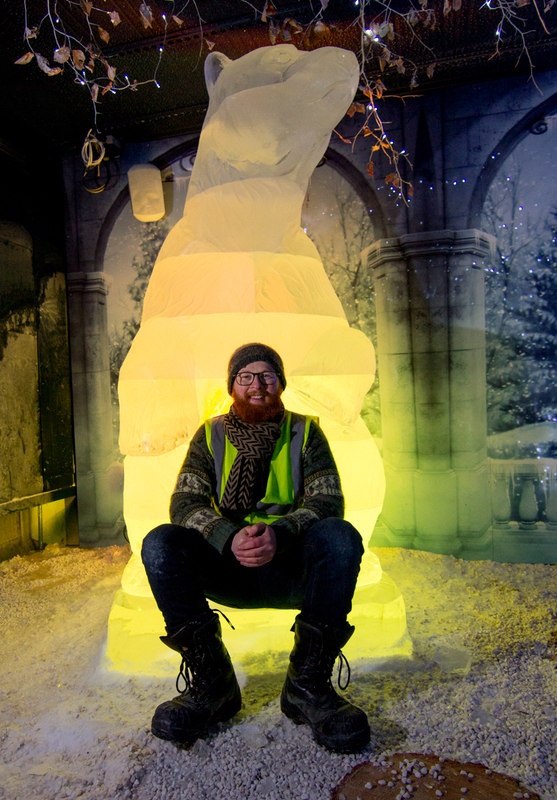 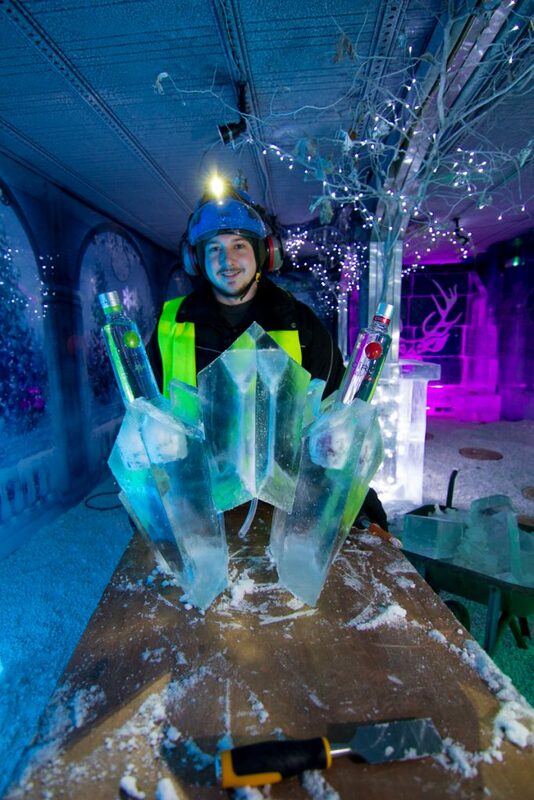 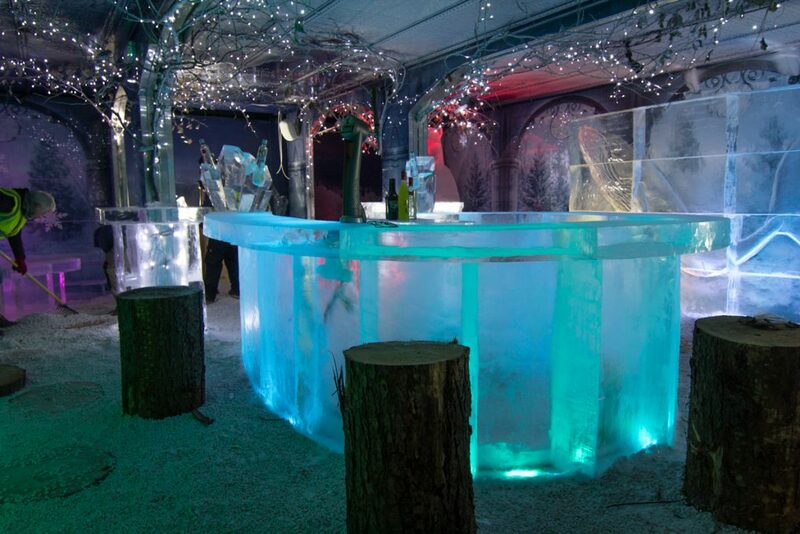 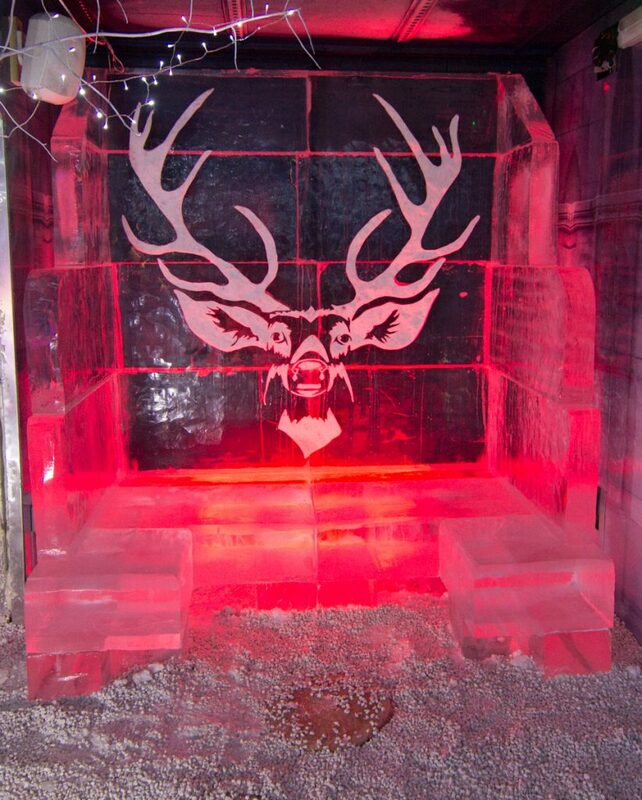 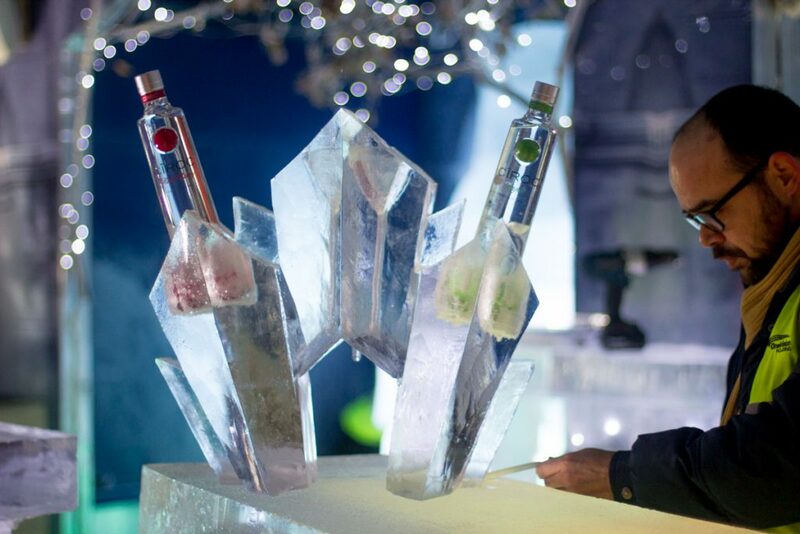 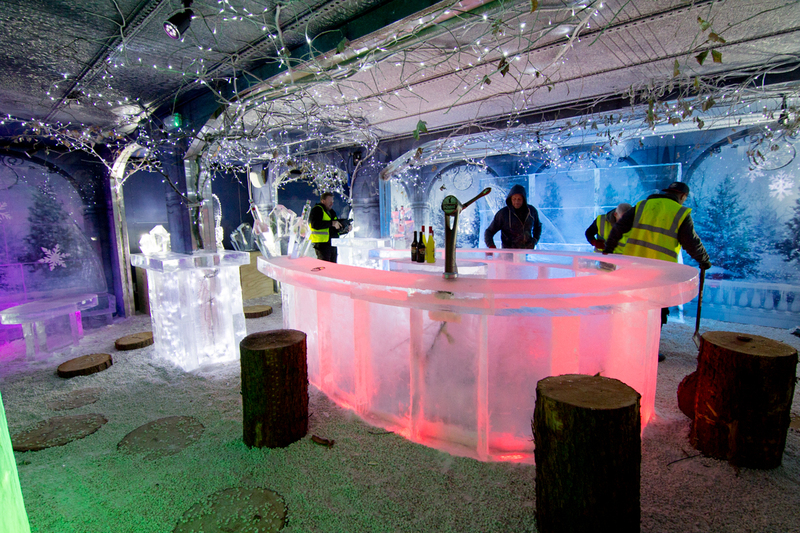 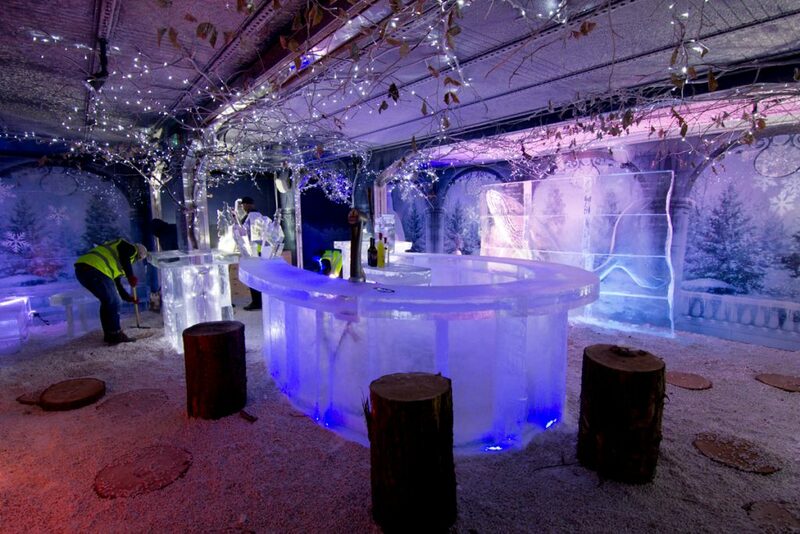 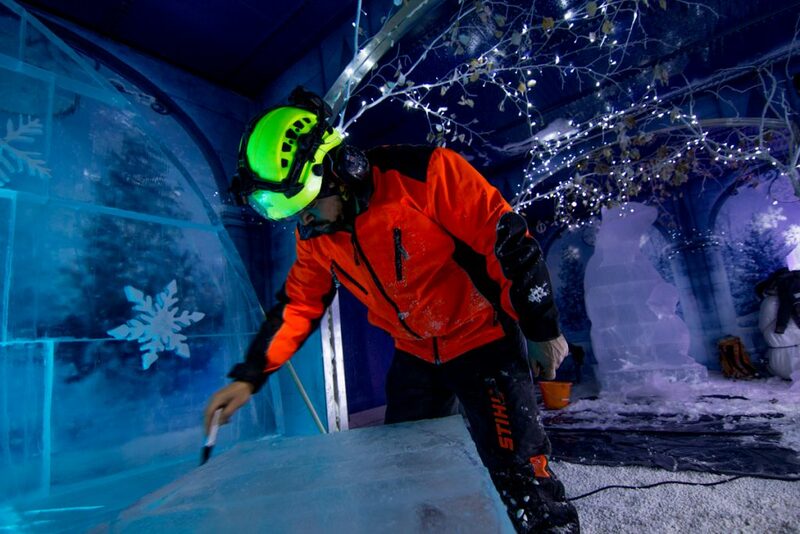 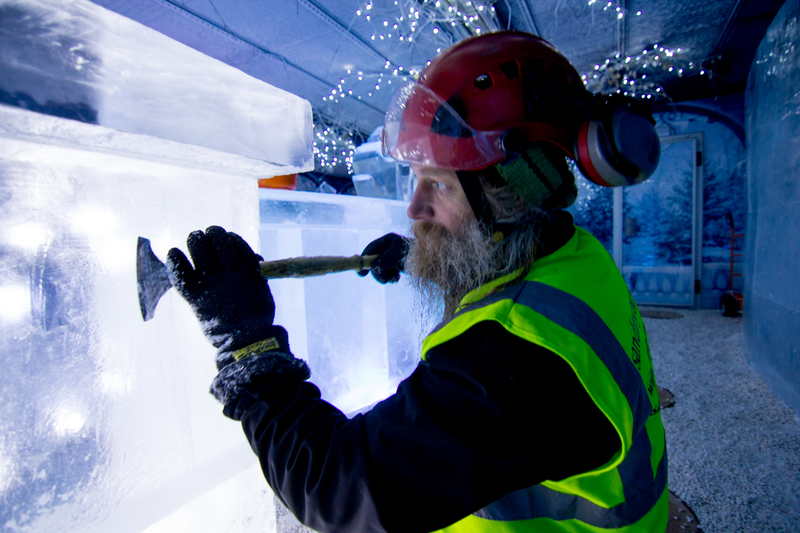 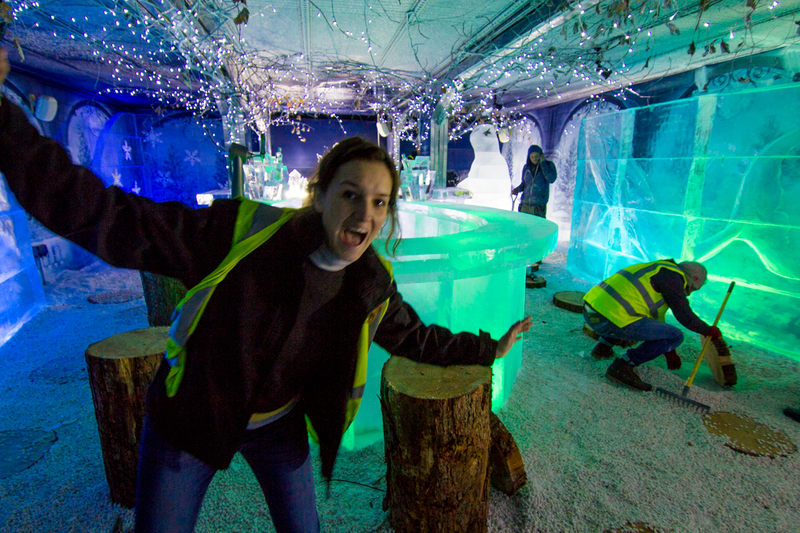 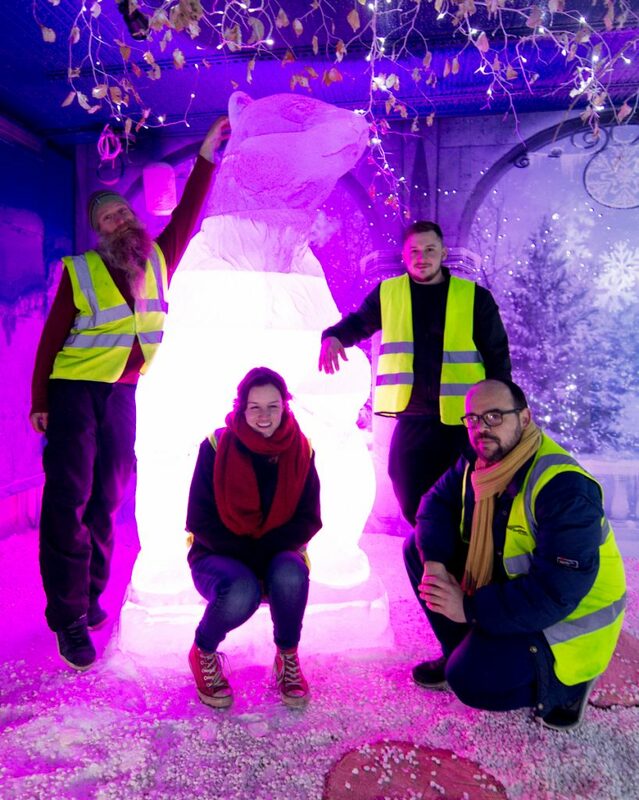 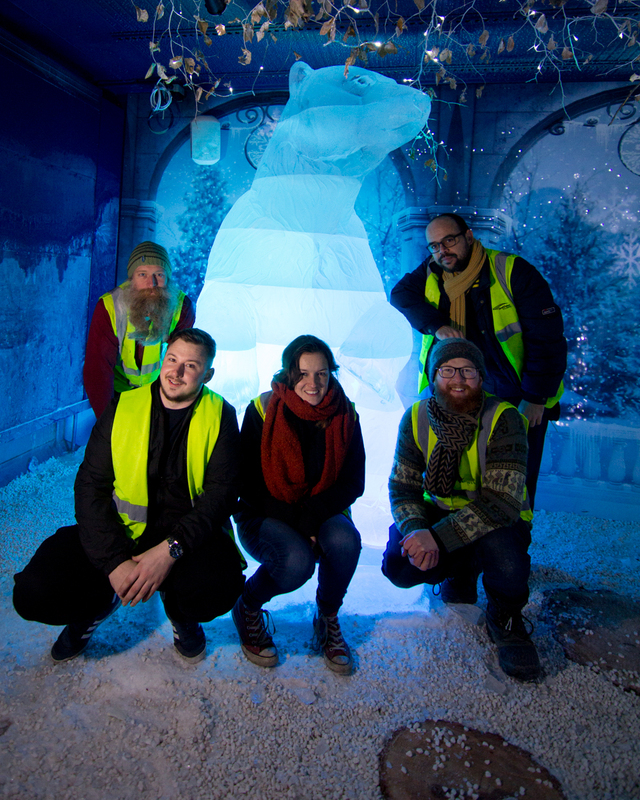 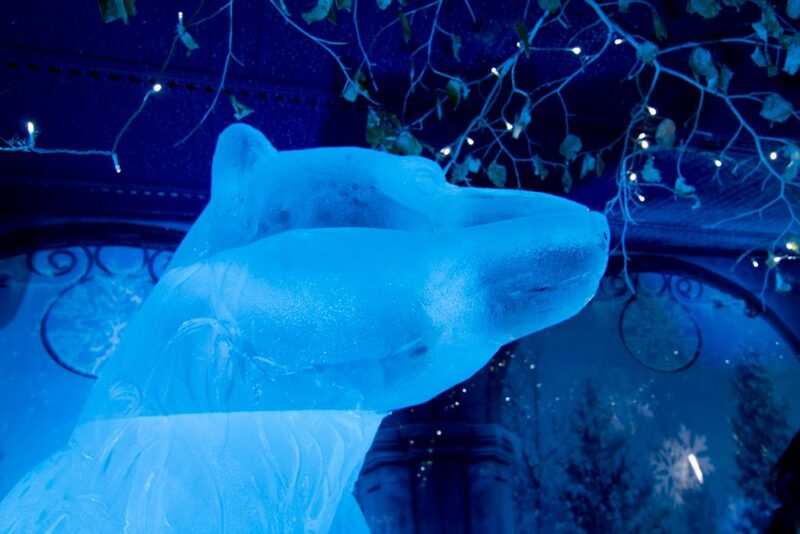 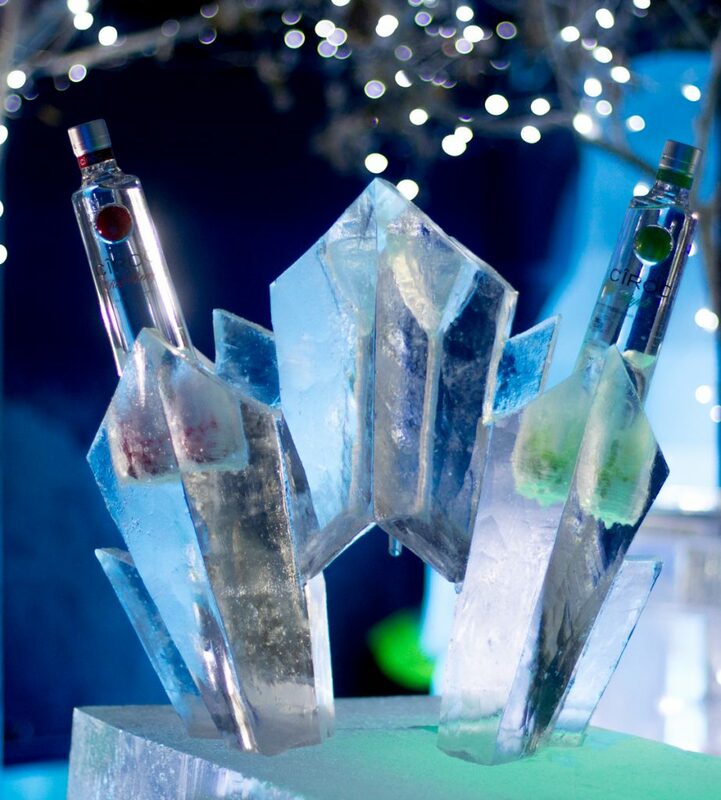 We were really happy to be invited back to Nottingham by Mellors Group to install their ice bar at Nottingham Winter Wonderland for the second year. 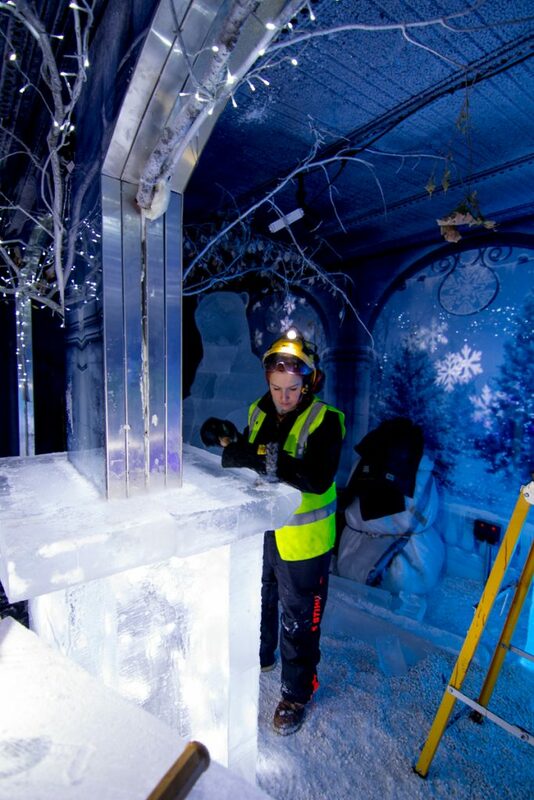 This year they had doubled to space, to make the bar even better than last year! This years theme was an arctic theme. 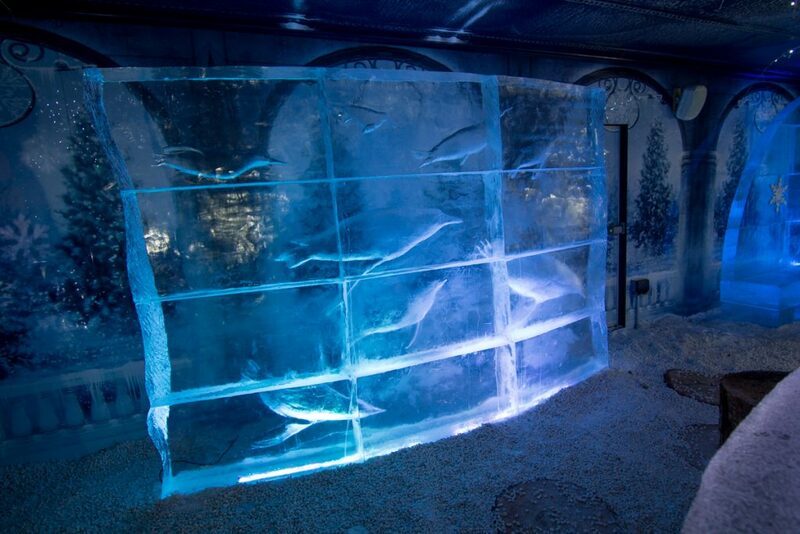 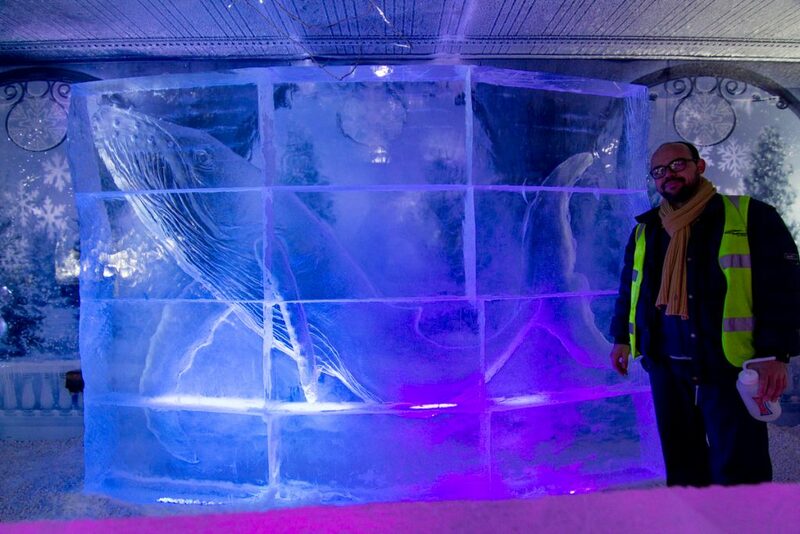 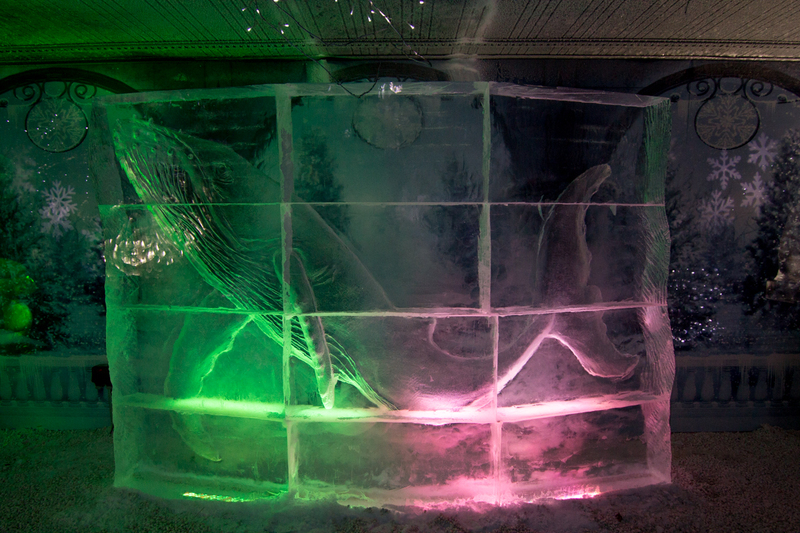 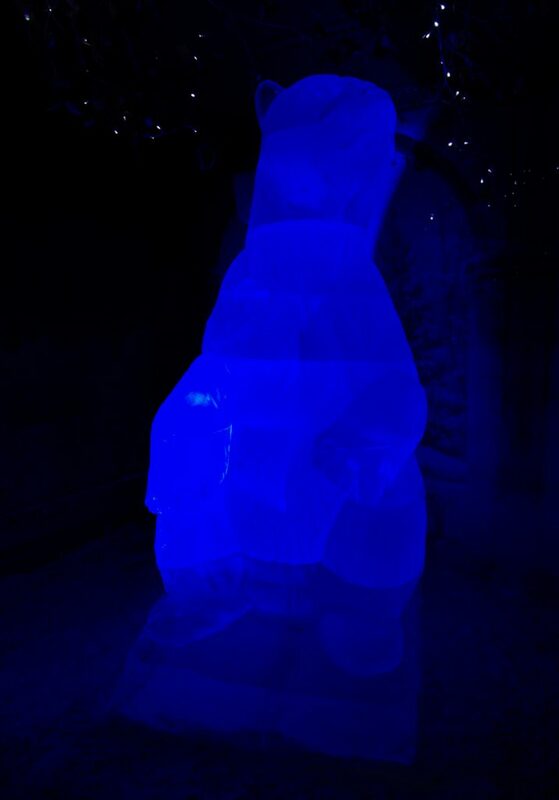 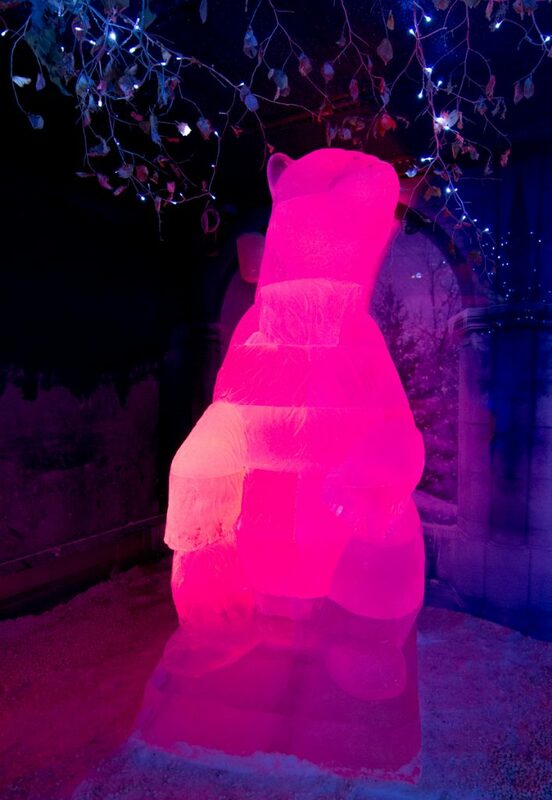 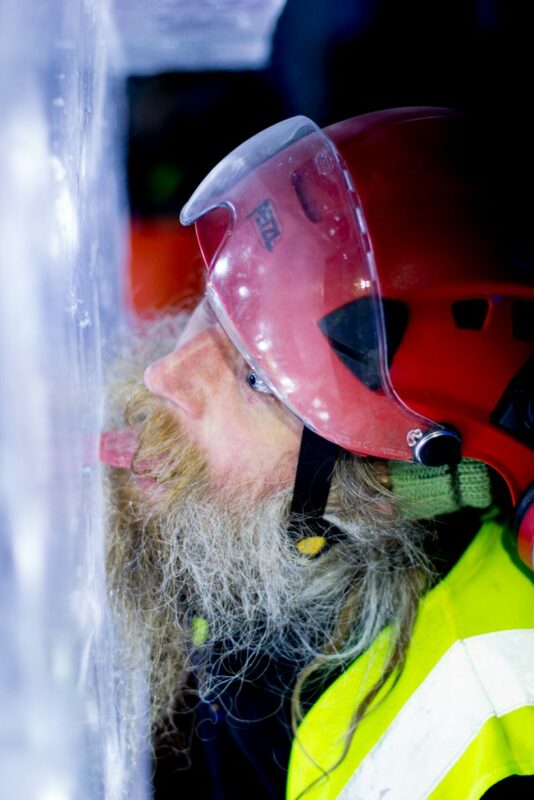 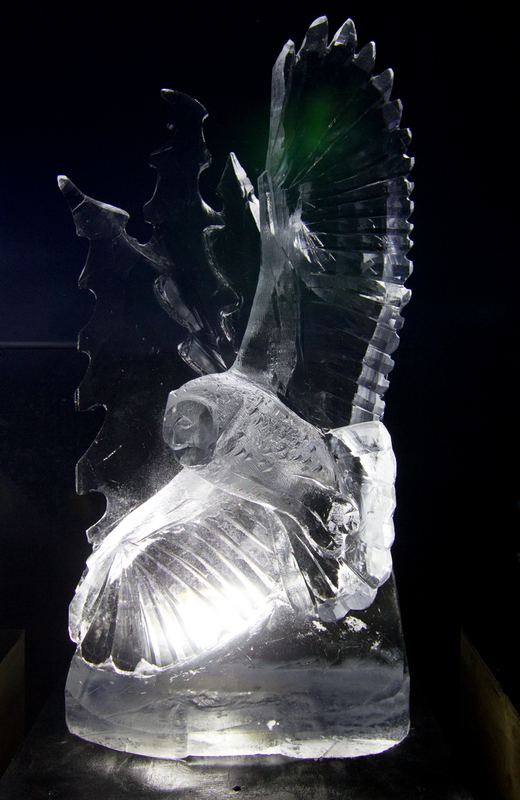 We created ice walls with whales and penguins swimming under water and even a 2 metre high polar bear! 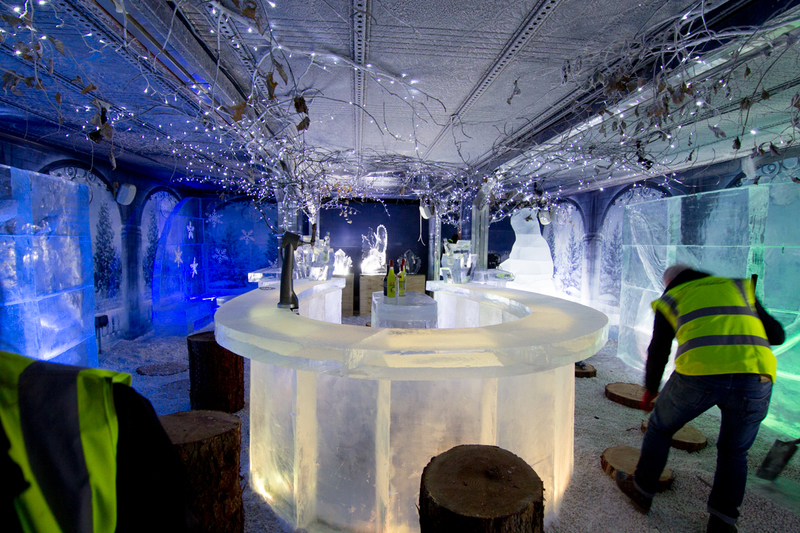 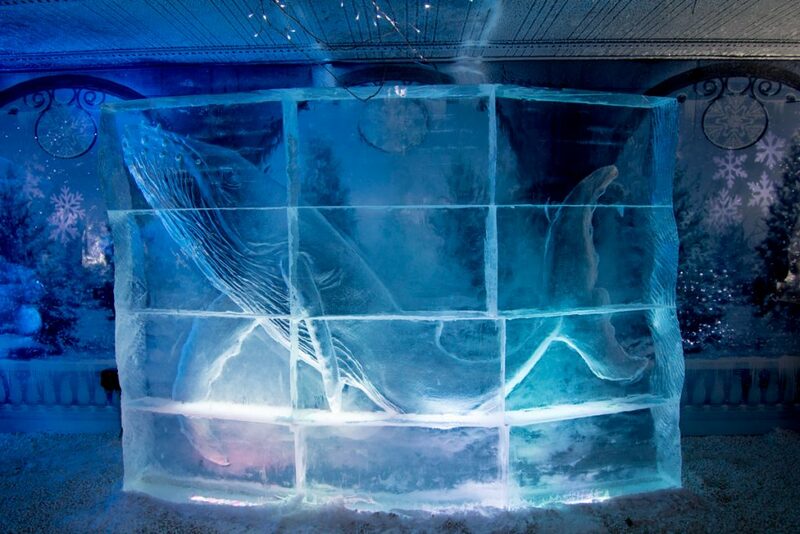 The bar is a huge horseshoe shape complete with 2 vodka drinks luges with ice booths and ice sculptures dotted around the space. 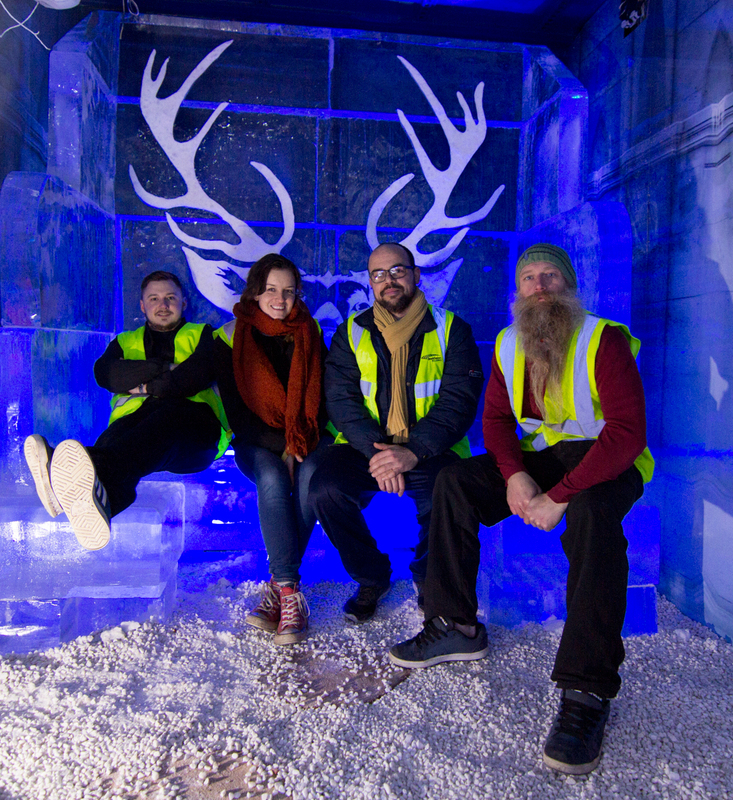 Early in November we set off from Yorkshire down to Nottingham once again. 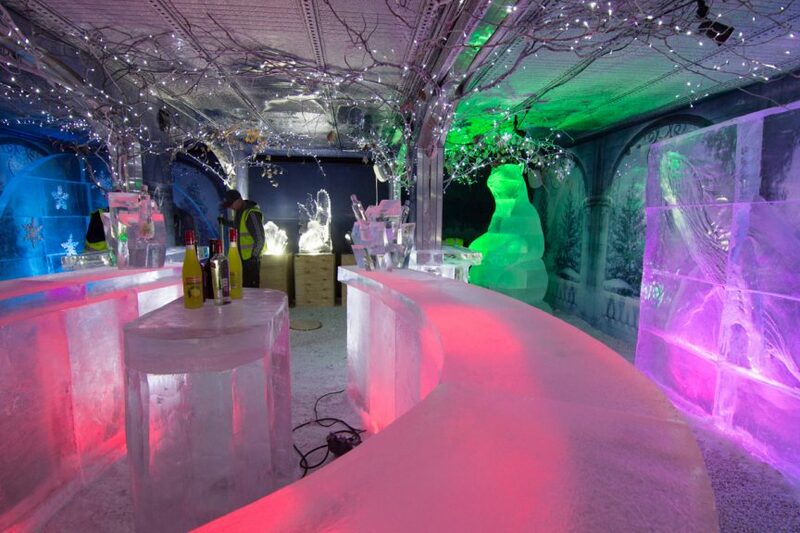 The bar took 8 days to be built and we are very happy with the results! 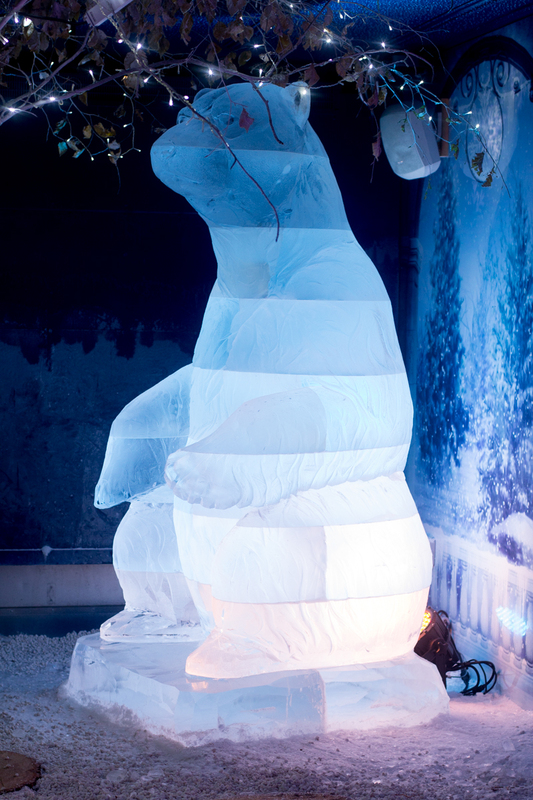 The bar will be open until the new year so check it out and have your photo taken with the giant polar bear, he gives great hugs!